Deborah Ann “Debbie” Helus, 64, of Topeka, formerly of Holton, passed away Wednesday, Jan. 23, 2019, at Midland Hospice House, with family by her side. Debbie fought a courageous nine-year battle with cancer. Debbie was born Feb. 8, 1954 in Pratt, the daughter of Paul Bryant and Laveta (Gibbens) Bengtson. She graduated from Hardesty High School in 1972, at Hardesty, Okla. She lived in the panhandle of Oklahoma from 1970 to 1975, the Holton community from 1975 to 2016 and in Topeka since 2016. She worked for the United States Postal Service for more than 34 years. After retirement, she worked part-time at Prairie Band Casino in the valet department from 2013 to present. 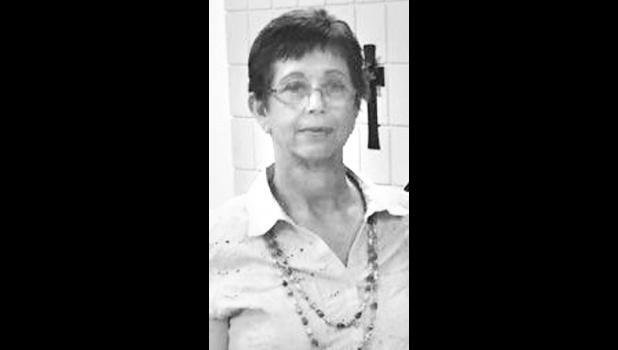 She was a member of First United Methodist Church and attended Larkinburg Christian Church. She was a member of VFW Ladies Auxiliary Post 1367. Debbie married Kevin Jay Helus on Sept. 9, 1987, in Holton. They celebrated 31 years of marriage. Survivors include her husband, Kevin Helus, of the home; her four children, Terry Brooks (Ashley) of Crescent, Okla., Lacy Beasley (Dave) of Topeka, Corey Helus (Meredith) of Olathe and Kelsey Helus of Lawrence; her mother, Laveta Bengtson of Holton; three sisters, Pam Bryant of Holton, Paula Lira of Paxico and Judy Childers of Holton; two brothers, Cecil Goodrick (Karen) of Utah and Paul Barnes (Amalie) of Germany; and five grandchildren, Mattie, Kealie and Emerie Brooks and Kian and Macen Beasley. She was preceded in death by her father, Paul Bryant; stepfather, Marvin Bengtson; a brother, Bruce Bryant; and a sister, Trudy Bryant. Funeral services will be held at 10:30 a.m. Monday, Jan. 28 at Mercer Funeral Home in Holton with burial to follow in Holton Cemetery. Family will greet friends from 3 p.m. to 4:30 p.m. Sunday at the funeral home.